The DIY ethic is intrinsic to the percussion world. 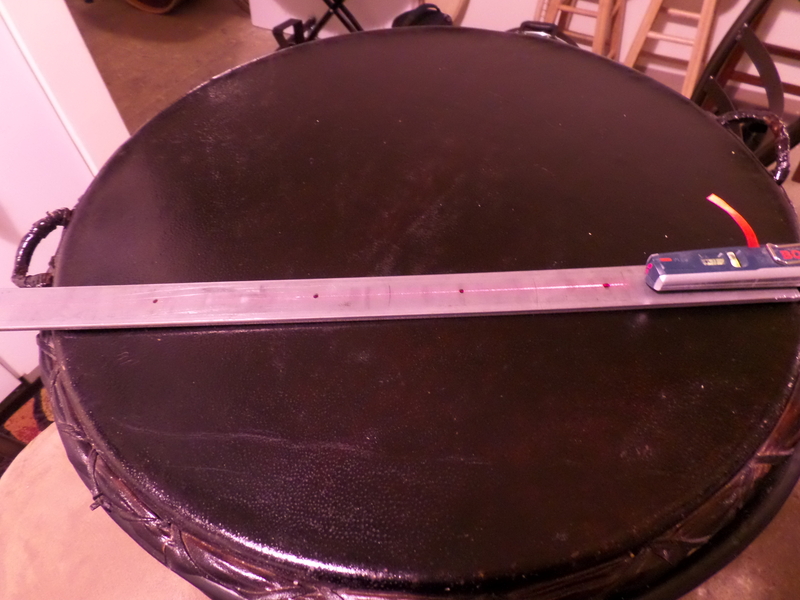 Percussionists are frequently required to perform on readymades rather than “real” instruments, and most proper percussion instruments can trace their origins to crude prototypes using the simplest of raw materials. The lack of an established performance practice for modern repertoire also leads us to find our own solutions for realizing a given piece. And, as I’ve mentioned before, it is expensive to acquire all the things you need. Cheap, homemade solutions can be a lifesaver. Even over a relatively short career, I’ve come up with (and stolen) some ideas that have helped me immensely. Most of them involve a skillful navigation of Home Depot. This week I’m playing Olga Neuwirth’s Torsion for solo bassoon and ensemble. The percussion part requires crotales, but only three pitches. 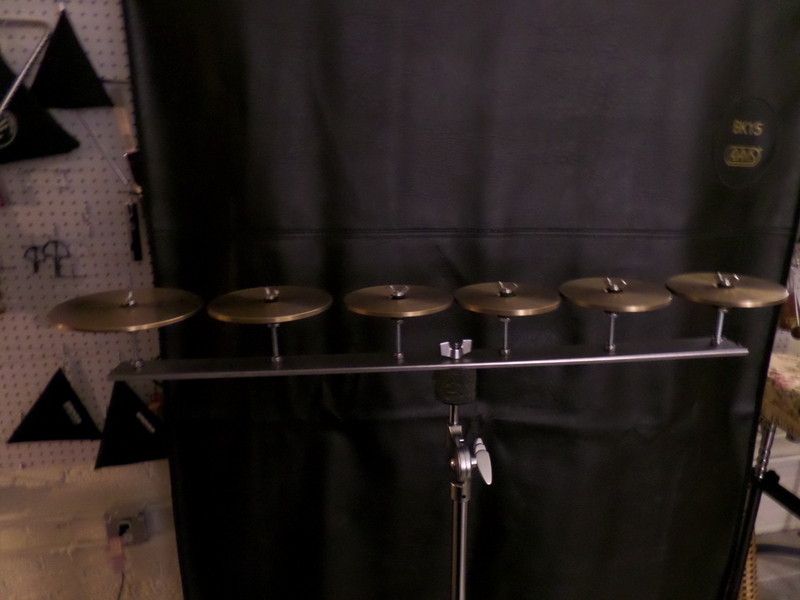 This is just one of many pieces that only requires a few pitches out of the 2.5 octaves of available crotales, and having all the unneeded pitches can make a large percussion setup more difficult to navigate. With that in mind, I set out to make a stand that could hold just a few crotales. I started with a standard steel bar from Home Depot. I’m not sure if they have an official name, but they are usually next to the dowels. The length of the bar will be too long, so you’ll need to saw it in two. This can be done with a simple hacksaw. It won’t be the most fun thirty minutes of your life but it will work. Then, make drill marks where you want the crotales to go using a laser level for alignment. For drilling the holes, do yourself a favor and get a corded drill, not a battery powered one. As you can guess, drilling through a steel bar requires a lot of power and a battery charged drill won’t get it done. 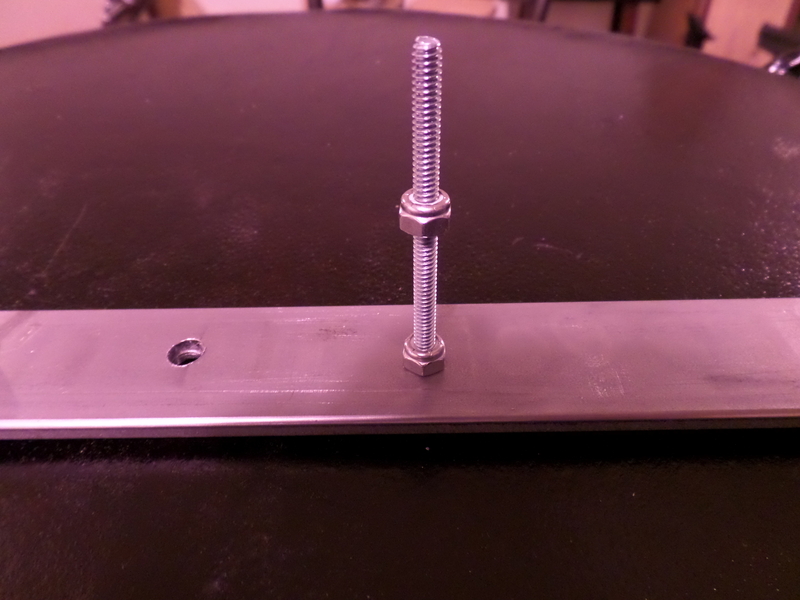 The drilled bar will look like this. 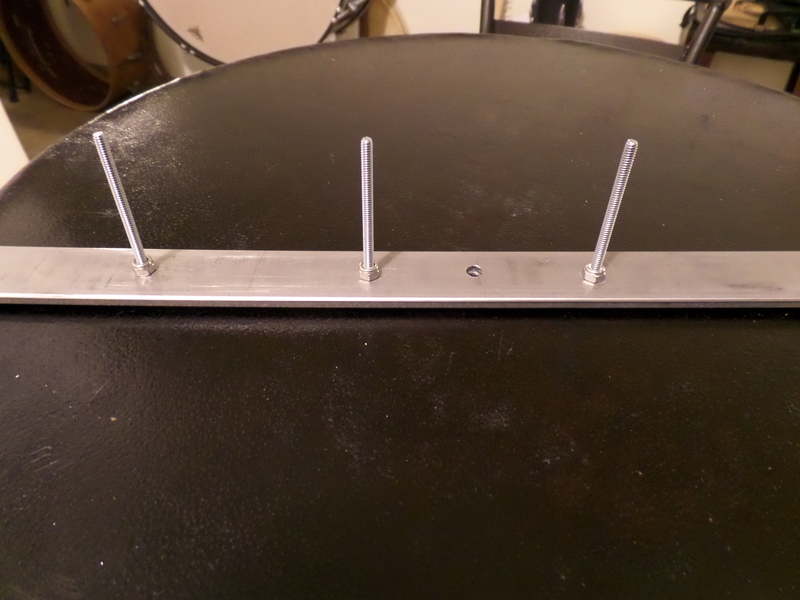 The larger hole in the middle is for the cymbal stand that will eventually hold it. Now you need to add another stop nut about halfway down the bolt that the crotale will sit on. 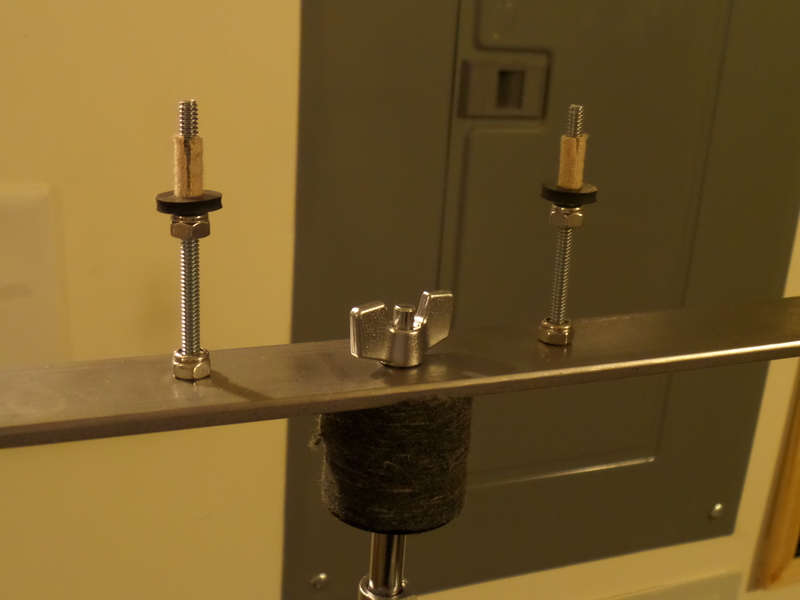 Then put one layer of moleskin around the bolt so the crotale won’t buzz against it. 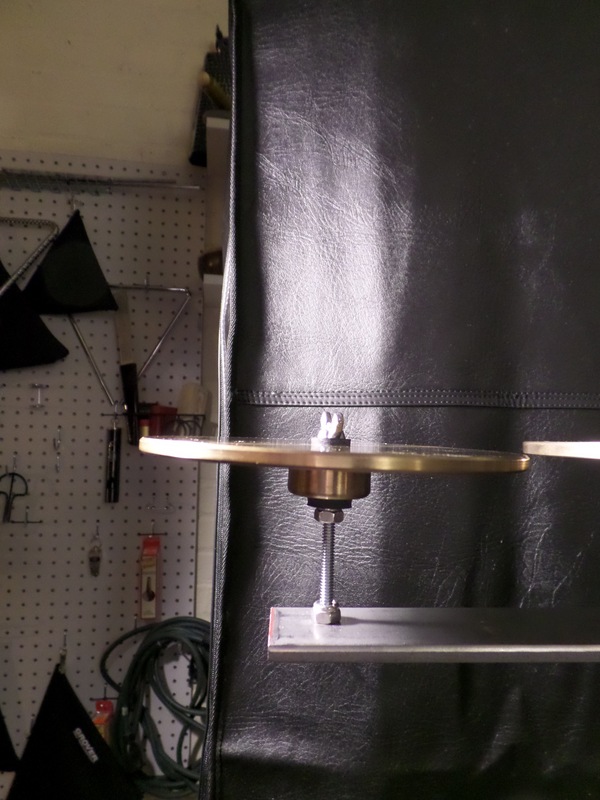 It is helpful if you can get your hands on the rubber washers that Zildjian uses on their crotale mounts. I happened to have some lying around, but if you don’t have access to any, I’m sure Home Depot will have a suitable substitute. Do not use metal washers. They will buzz. 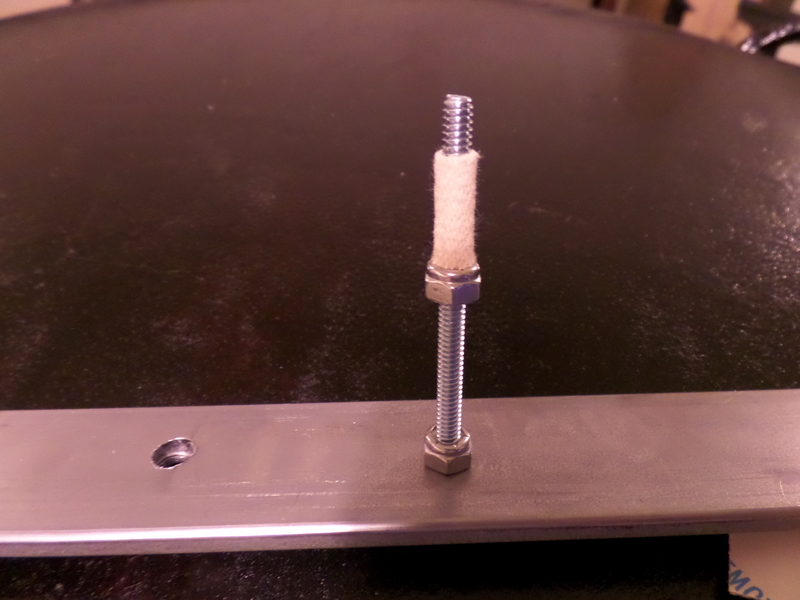 Here it the mounting bar on a cymbal stand with the bottom washers on. 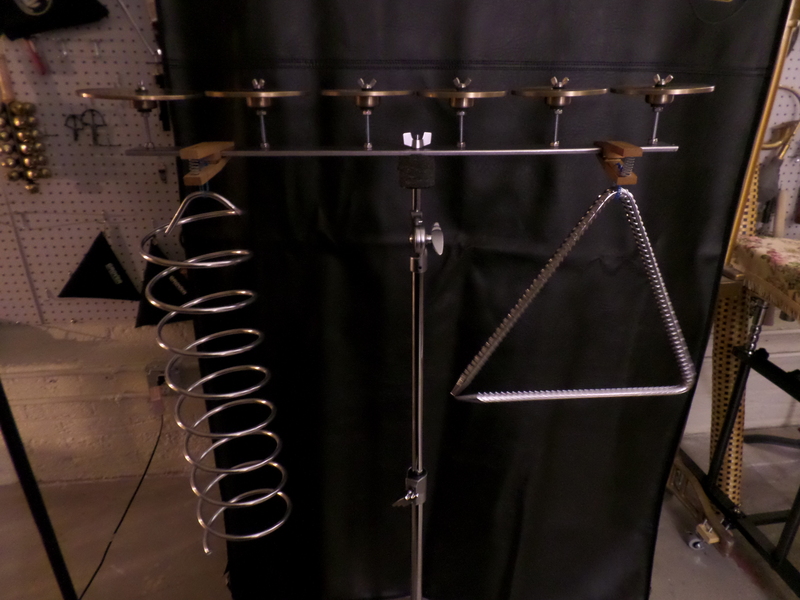 Since the stand is long enough to hold six crotales, there is room to hang more instrument underneath the crotales without hitting the cymbal stand. I mentioned above that the original bar from Home Depot had to be sawed in to two pieces, so I used the left over bit to make a three-crotale version. These little items will make countless pieces much easier to play, and the total cost of the materials for both stands was $25. 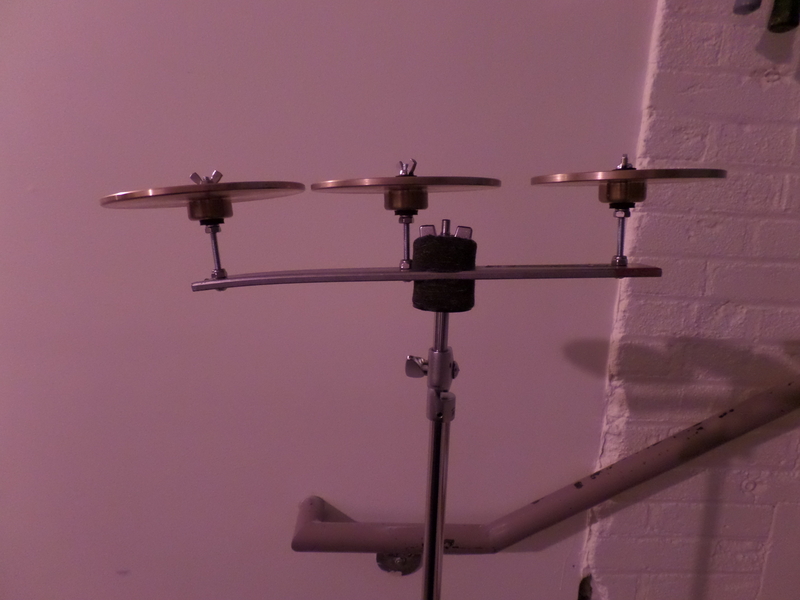 This entry was posted in Contemporary Music, Percussion and tagged Music, Olga Neuwirth, Percussion, Percussion instrument on September 24, 2013 by tolleism. I discovered your blog via Steve Weiss music – Chromatic bell tree review. Great DIY stuff here. I’ve been making my own similar bell/crotale/gong/etc. holders since the ’70s. I tend to use square or round aluminum tubing instead of the flat steel bars or wooden dowels you show. 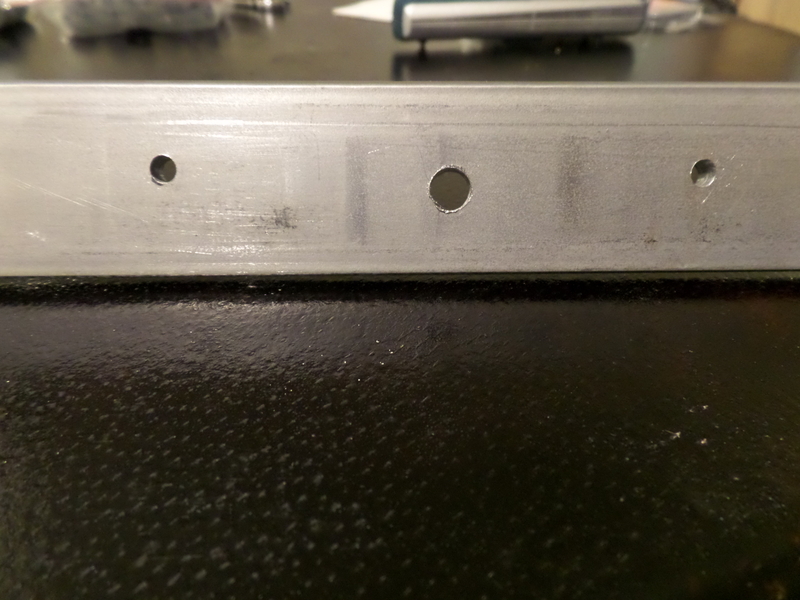 The aluminum is easy to cut/drill/work with. Percussionists are the best inventors out there!